Compliance professionals who want to talk about sexual harassment this morning have a big problem: too many examples to choose from. We could start with Harvey Weinstein, and the misgovernance at his production company; just read the Financial Times article from this weekend reviewing the conflicts of interest and boardroom machinations that torpedoed internal investigations trying to uncover his behavior. Or we could look at 21s Century Fox, and the New York Times bombshell that Bill O’Reilly paid $32 million of his own money to a Fox New analyst in February 2016 to settle harassment allegations—and Fox then renewed his contract anyway. That’s more a shortcoming of poor corporate values: Fox cast aside concerns about proper behavior among employees, so O’Reilly could keep helping the company make another buck. But the most cautionary tale of sexual harassment today comes from Fidelity Investments—which, as the Wall Street Journal reports, has struggled mightily with systemic harassment problems. Harvey Weinstein, left; and Bill O’Reilly, right. 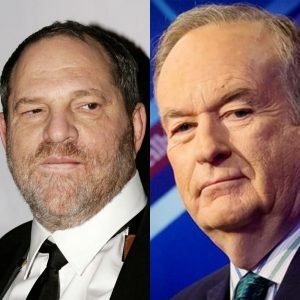 For all the gross behavior alleged against Weinstein and O’Reilly, they are examples of what I call “empowered” harassment: successful men, whose success emboldens them to harass women, and then they use their power to guarantee women’s silence. Empowered harassment rests on poor governance practices and low ethics at the high levels of the company, and those are certainly problems worth a compliance officers’ contemplation. But let’s not kid ourselves, either: systemic harassment, where flawed human impulses intersect with incentive systems that let larger groups of men try harassment and intimidation, is more common. I don’t know how many compliance officers are grappling with a larger-than-life CEO who has been paying off harassment victims for 20 years. But allegations that some jackass assistant VP gives poor reviews to women who don’t flirt back with him when he sends a frisky email—I suspect all of you have encountered that. According to the WSJ article, Fidelity has pushed out several high-ranking employees accused of sexual harassment or bullying. It also hired a consulting firm to review employee behavior, and held an emergency meeting last week to stress its zero tolerance for harassing behavior. What’s most interesting, however, is Fidelity’s compensation program for equity analysts and stock-pickers—and how that system gives opportunity for managers who like to bully or harass lower-level employees. Stock-pickers can receive an annual bonus at least partly based on quantitative measures: they pick winning stocks. But their bonus is also partly determined by subjective performance reviews from their managers. We can all see the risk here: if the employee speaks up about bullying or harassing behavior, the manager can give them a sour rating that kills their bonus or even derails their career. 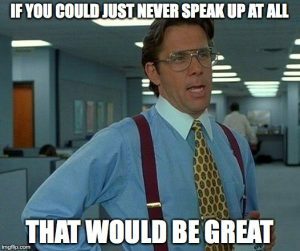 Who wouldn’t think twice about speaking up in that culture? Even more striking is that all this happens while Fidelity embraces women in leadership roles. Its CEO, Abigail Cohen, is one of the most powerful people in asset management, regardless of her gender. Its chief investment officer and head of institutional asset management are both women. This isn’t a company suffering harassment challenges because the leaders are men who haven’t thought about or experienced it. Fidelity is suffering harassment challenges because harassment is a deep, difficult problem to solve. We can say that the root problem is a cadre of arrogant male managers who abuse compensation systems as they seek outlets for their testosterone-driven vanities. That’s true, and those men need to be corrected (although I’m skeptical that they can ever be “trained” out of this behavior, and might just need to be fired). But we aren’t going to solve that challenge overnight, and even if sexual harassment miraculously did go away—office bullying remains a problem, too. Performance plans that include manager reviews of employee performance still given room to ill-meaning managers who will exploit it to punish employees they don’t like. That is the compliance challenge for most of us today. How can we strengthen compensation and performance review systems—how can compliance training and internal reporting systems support those systems—so that they work, and aren’t weaponized as vehicles for harassment of any stripe? I read the Fidelity story and thought: Hmmm, incentive systems and managers who should meet a higher standard of behavior. Those are subjects mentioned in the Justice Department’s guidance on evaluating effective compliance programs. So what inspiration can we find re-reading those passages and applying them to harassment? Granted, the Evaluation Guidance wasn’t written for harassment complaints. But these questions questions (and others) do point in compliance professionals in a useful direction. First, how do the company’s incentive and performance review programs create spaces for managers to harass subordinates? That’s where the problem is. Second, how can we hold other managers responsible for harassment that happens among their subordinates? That’s where the answer is. Consider what that means. If an employee has raised an allegation to his or her manager, the employee also knows he or she can approach HR directly. Then HR will ask the manager for details, and the manager knows that. So in a subtle but effective way, Texas Health is using its complaints hotline to force managers to take harassment allegations seriously. Kirby didn’t say this on the podcast, but I strongly suspect a manager’s own performance review is tied to that point. And so it should be. That’s one practical example of how to use incentives and performance reviews to fight harassment, rather than give it room to take root. If you have others, let me know.